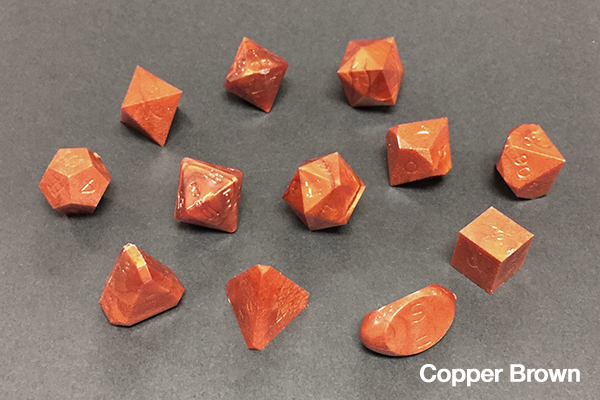 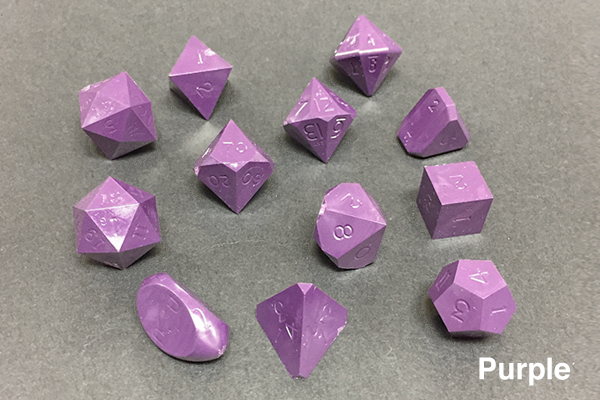 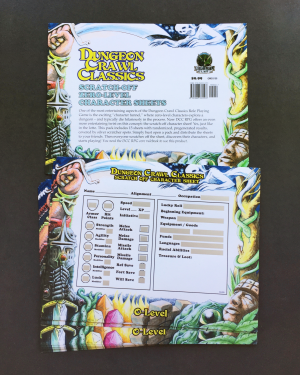 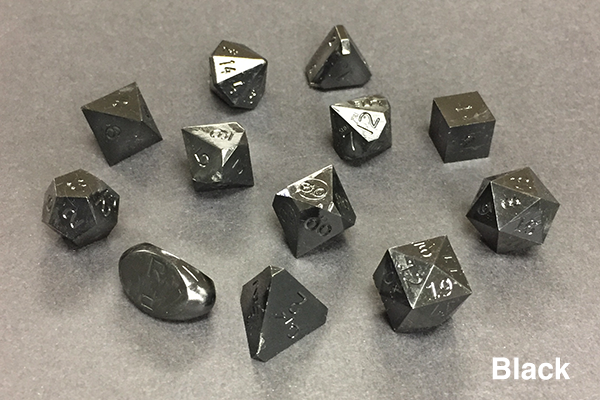 Goodman Games is proud to present the most accurate precision dice in the world — now in 12-die sets that are perfect for DCC RPG. 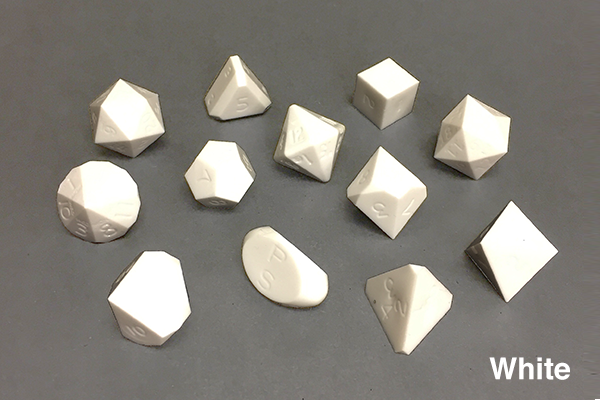 Each set comes with 12 weird dice, including d3, d4, d5, d6, d8, d10 (10s), d10 (100s), d12, d14, d16, d20, and d24. 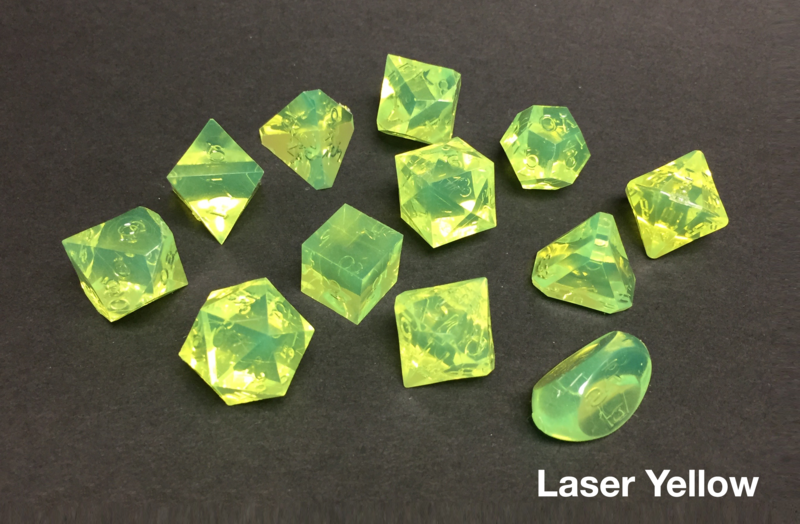 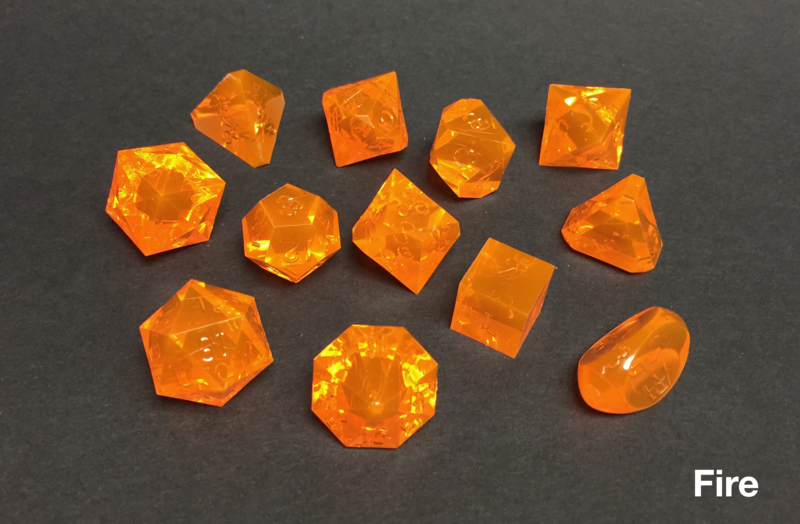 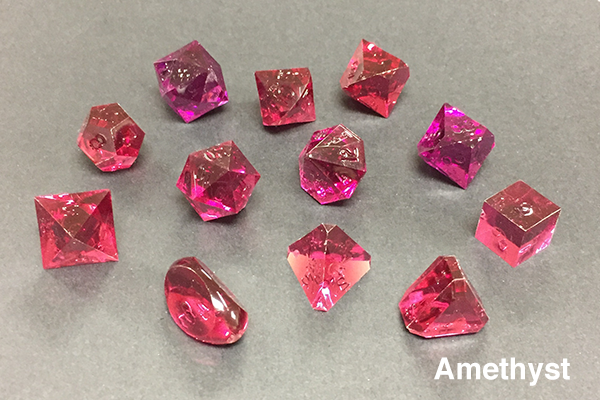 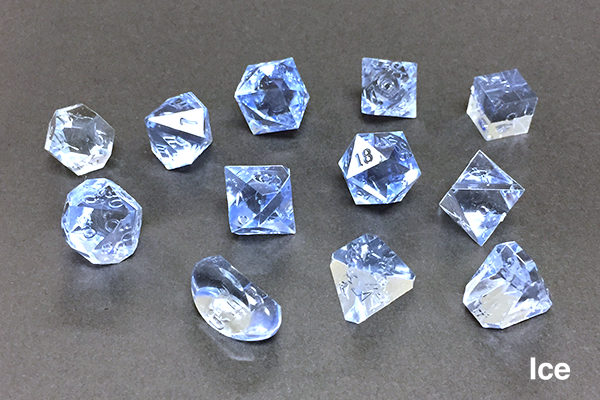 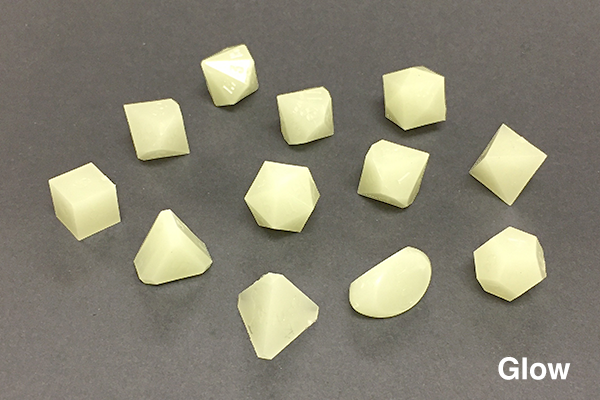 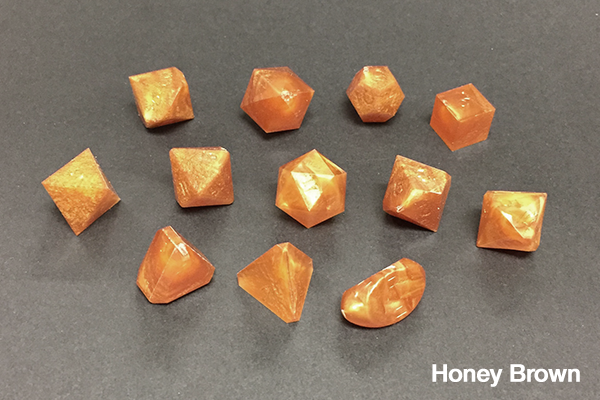 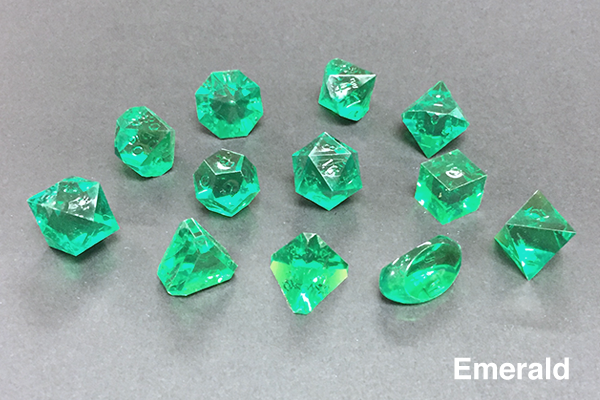 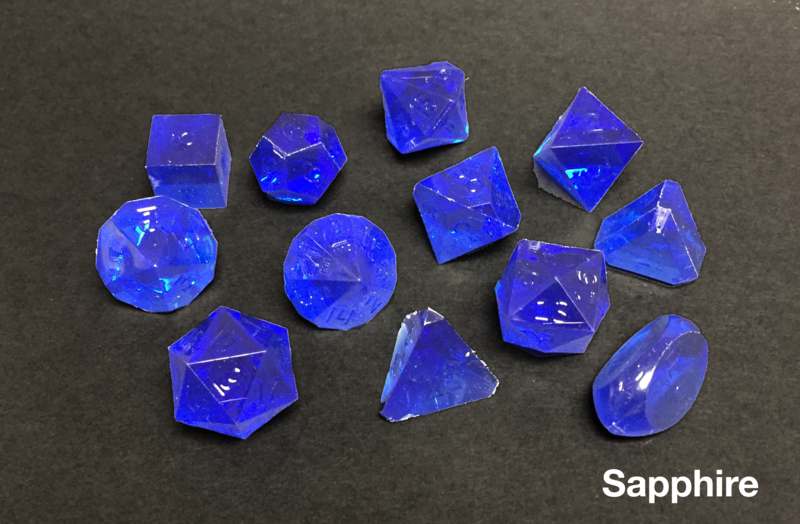 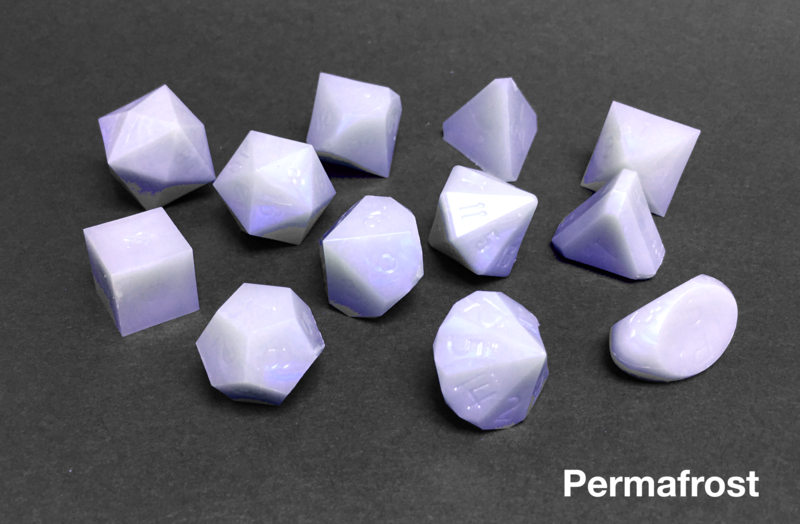 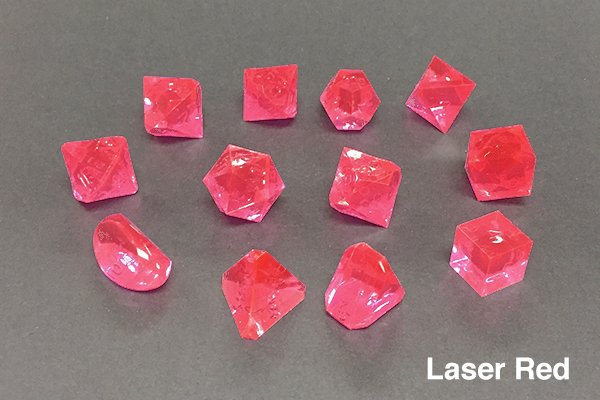 The dice come uninked and in a wide variety of opaque and gem colors. 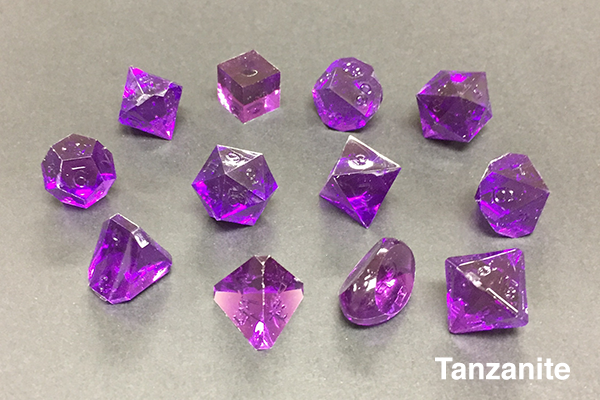 Louis Zocchi started manufacturing Gamescience® dice in 1974. 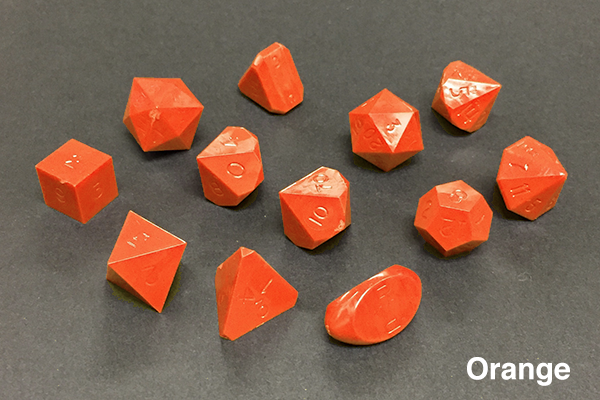 That’s right, Gamescience dice have been manufactured for over 40 years! 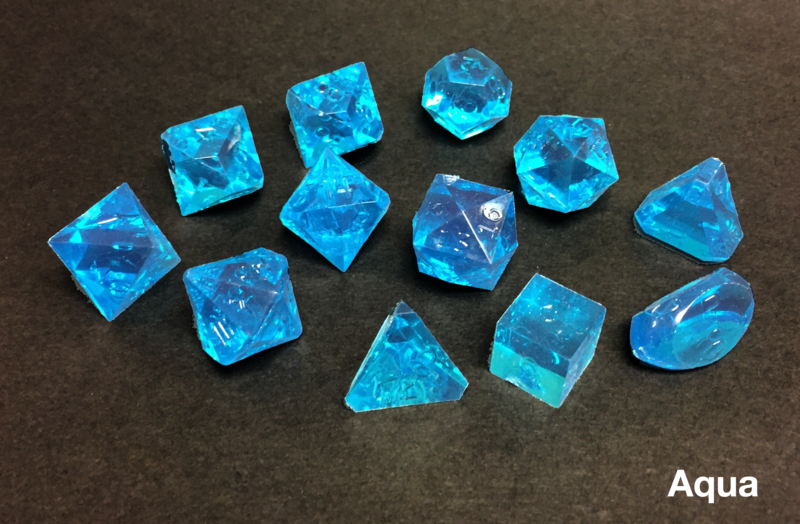 Louis wants you to know that he made Gamescience dice for the end user, he expects quality in every die and wants your gaming experience to be filled with the random rolls that Gamescience dice promise you. 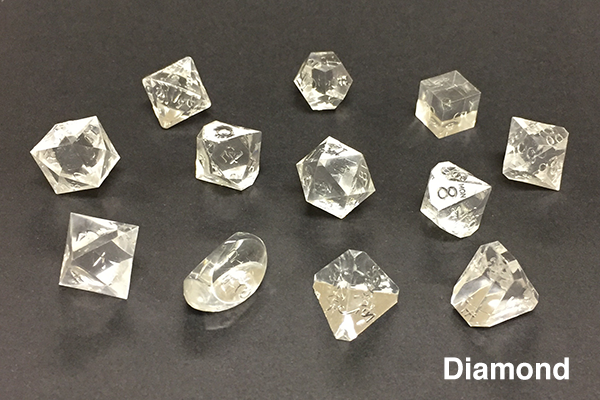 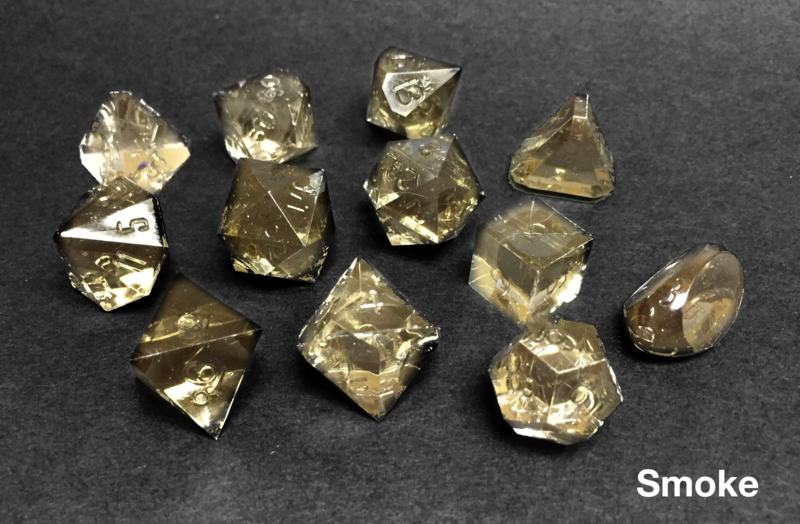 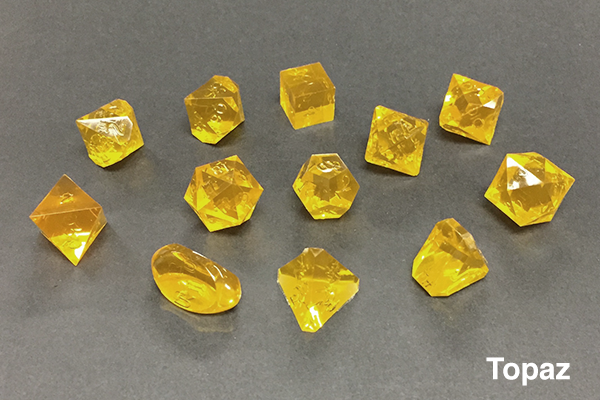 Gamescience Dice come with a 2-year warranty against defects in material or workmanship, so buy with confidence and buy America’s polyhedral dice. 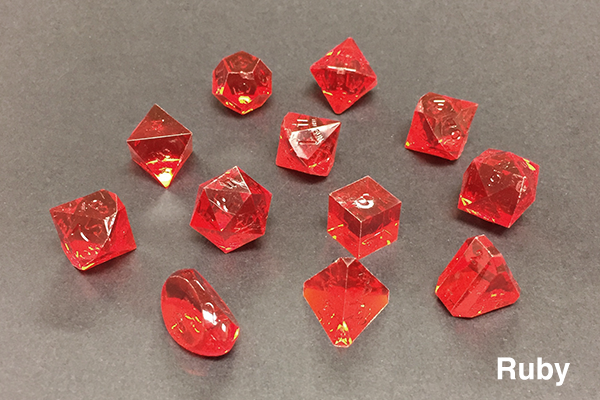 Gamescience Dice come with a 2-year warranty against defects in material or workmanship, so buy with confidence and buy America’s Polyhedral dice. 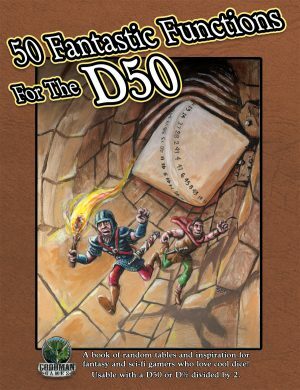 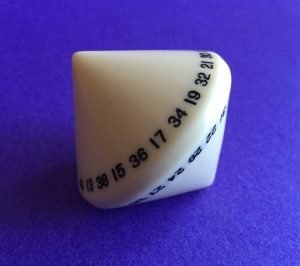 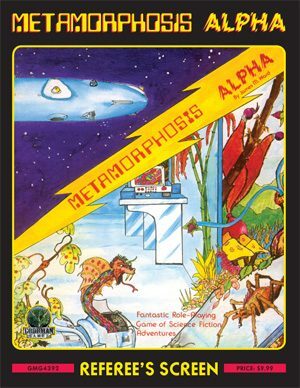 Want to know if Gamescience dice really roll more true than other dice? 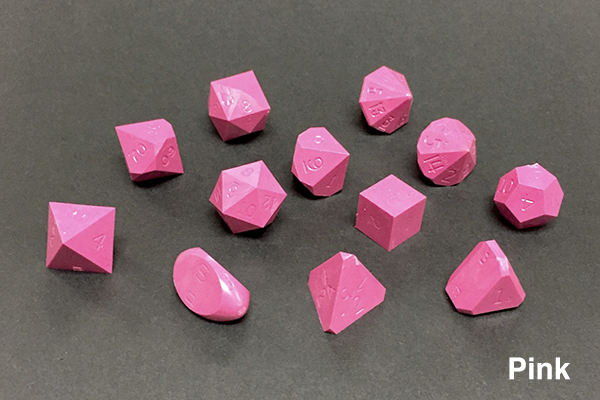 Check out this randomness test, because math doesn’t lie!